Power Lunch: Are New Alliances Indicative of Joint Venture Activity for Food and Beverage Industry? Home / Articles / 2012 / Are New Alliances Indicative of Joint Venture Activity for Food and Beverage Industry? 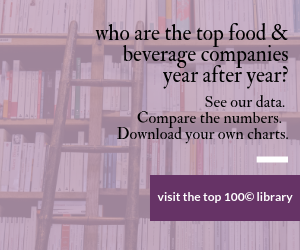 Are New Alliances Indicative of Joint Venture Activity for Food and Beverage Industry? PepsiCo-Ocean Spray Latin American strategic alliance may signal an uptick in food and beverage industry joint ventures. PepsiCo and Ocean Spray's newly formed Latin American strategic alliance may be indicative of a resurging trend in joint ventures and co-packaging arrangements in the food industry. This is especially interesting since five or six years ago, such arrangements appeared to be dead in the water. PepsiCo spent large resources on expanding its own Gatorade self-manufacturing facilities beginning around 2006. Nestlé did the same with its Nesquik brand. At least for these large manufacturers who were more likely to weather the pending economic tempest, the thinking was that they could achieve a better return on their investment by moving the manufacturing in house rather than endure a more volatile partner's financial risks – not to mention the inherent risk with sharing the prized manufacturing technologies involved in blending, packing and processing their power products. It now appears the tides are turning. We have observed an increased volume (and resultant complexities) in joint venture and co-packing arrangements in the last 18 months or so, and it stands to reason. The economy is showing signs of recovery, albeit a modest one. Manufacturers are trying to stay ahead of the economic curve by entering new markets, but they are still a little hesitant. The steepness of the learning curve as well as the vast amount of machinery and investment required to enter far-flung markets are often too much for anyone but the mega-brands to bear, and joint ventures are particularly effective at dipping one's toe into the pool of a new market. Entering into a new market with a partner who has an established distribution network, brand recognition, local expertise, and readily available equipment is somewhat of a no-brainer. The large manufacturers' expanse in their own equipment assortment has prepared them with excess available manufacturing or distribution capacity or, at the very least, an increased bargaining leverage with equipment manufacturers to add new facilities. Joint ventures offer the large manufacturers opportunities to monetize these resources. The global palate is expanding. The U.S-centric view that Americans are becoming increasingly comfortable with new tastes represents a tiny corner of the universe. As the world has flattened, other populations' taste buds are expanding at the same, if not a greater, pace. The PepsiCo-Ocean Spray venture is particularly exemplary of these forces. As part of the alliance, PepsiCo will have exclusive rights to manufacture and distribute a portfolio of cranberry- and blueberry-based beverages through its Latin America Beverages division. The companies will share product-marketing responsibilities and plan to collaborate on product innovation. Brian Smith is a partner and a member of the food industry team at the Chicago law firm of Freeborn & Peters LLP. He specializes in corporate and tax structural planning for joint ventures and acquisitions in a variety of sectors, including food & beverage. Reach him at 312-360-6472 or bsmith@freebornpeters.com. Ocean Spray is no stranger to the powers of creative joint venture arrangements. Its relationship to PepsiCo goes back to the 1990s, which was temporarily derailed by PepsiCo's acquisition of Tropicana in 1998. In 2004, PepsiCo looked to expand the Ocean Spray relationship greatly, which was ultimately rejected by the Ocean Spray growers consortia. But in 2006, Ocean Spray and PepsiCo renewed their wedding vows and agreed to a joint venture relationship for single-serve product manufacturing and distribution in North America. The partners further expanded their relationship in 2009 to include additional products. It is safe to say that the parties know each other fairly well, and the "trust" issues that new joint venture partners typically go through were fairly minimized in this newly announced partnership. PepsiCo has been one of the global leaders in expanding its self-manufacturing capabilities in recent years. Much of the company's self-manufacturing expansion was designed to coincide with its decreased reliance on equipment designed for carbonated soft drinks, and to achieve environmental efficiencies through technological advances. In addition to the expansion of Gatorade, the company has greatly expanded its manufacturing capacity by adding equipment in Latin America, India, the Philippines and Vietnam. The PepsiCo-Ocean Spray partnership is a near-perfect example for the expansion of the global palate. There is perhaps no food that is more North American than the cranberry. The extent to which cranberry-based beverages' success in North America was the result of Americans' nostalgic reverence to the first Thanksgiving will be tested in Latin America. If it can be accomplished at all, Ocean Spray will need PepsiCo's unique structural advantages and expertise in the Latin American marketplace. Although it's still somewhat early, patterns are beginning to develop alongside this emerging trend toward increased joint venture relationships. A volatile economic climate breeds creative solutions to novel issues. The joint venture relationships we have seen are more likely to be of shorter duration and provide the partners with multiple exit opportunities. They are also more likely to be comprehensive, expanding far beyond a traditional "copacking" relationship. One of the consequences of joint venture relationships becoming more comprehensive is that the negotiation process tends to become extended and less friendly. The most successful joint venture participants are the ones who are willing to ask the uncomfortable questions up front. What management and information controls will I have? Who is responsible if things go wrong? How will damages be measured if my joint venture partner fails to meet its obligations? What is my exit strategy? Manufacturers that enter into joint ventures are wise to do so with eyes wide open. But it was considered, Nooyi tells CNBC. $206 million Batavia, N.Y., facility expected in 2013.